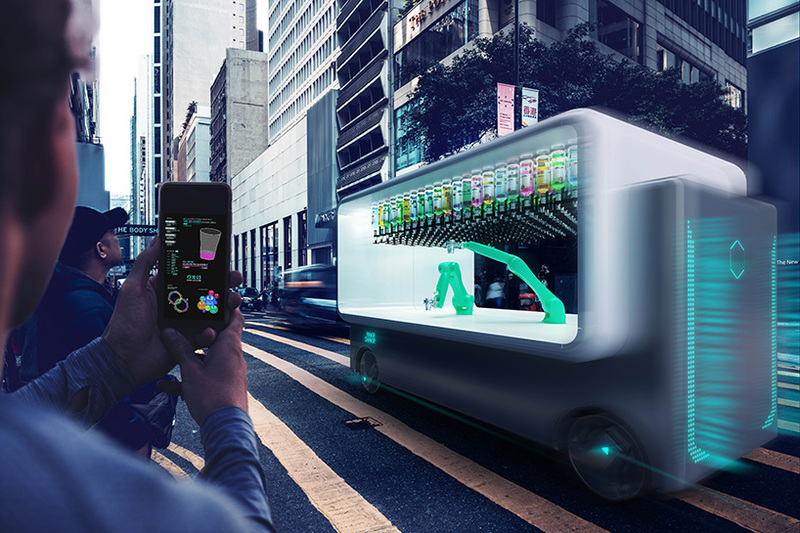 following the launch of the first mass-produced robotic bartender in 2018, carlo ratti associati (CRA) and makr shakr enhance driverless technology to create GUIDO, an urban self-driving cafe. 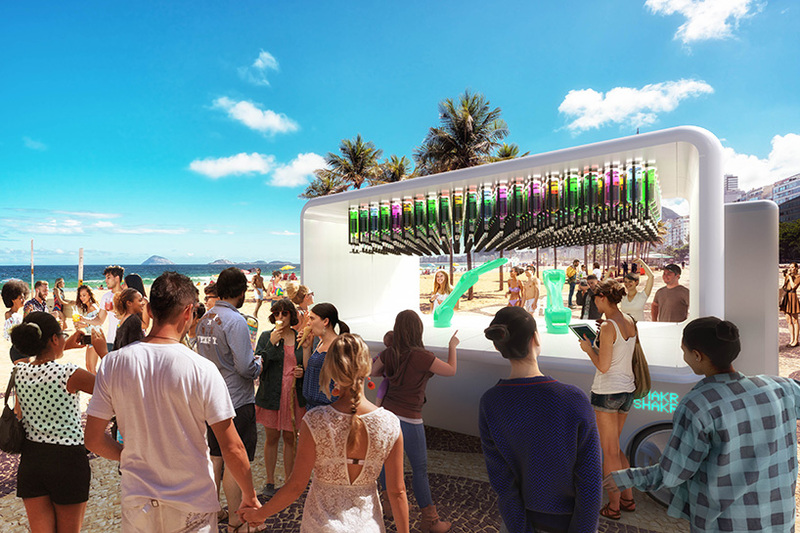 the autonomous vehicle comprises a unit with two mechanical arms that can prepare and serve any drink in seconds. it conceptualizes a dynamic shift in leisure within cities as any location can be temporarily turned into a bar. CRA’s GUIDO can be booked and activated by an app. the cafe moves around autonomously on wheels and, once reaching its destination, will be able to complete any drink ordered from its app as well. the robotic bartender will then source the cocktail’s components from the bottles in the unit, before making and serving it. the online system will also be able to verify people’s ages through their IDs and let them pay via mobiles. although set to be developed throughout 2019, GUIDO already imagines several new social opportunities for the urban environment. firstly, it activates different parts of the city that, previously, would not or could not be an area to hang out. secondly, it creates a new social dynamic as one person’s decision to call over the robotic cafe can lead to serendipitous meetings, smaller hubs and new relationships within communities.